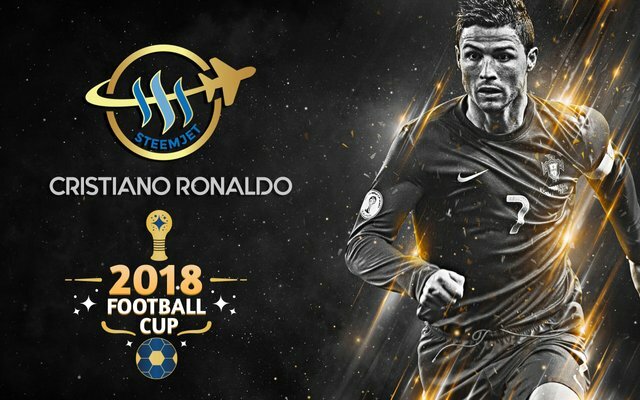 The Steemjet World Cup - Day 4 - How in the world did we train earth's first Space Force so fast? 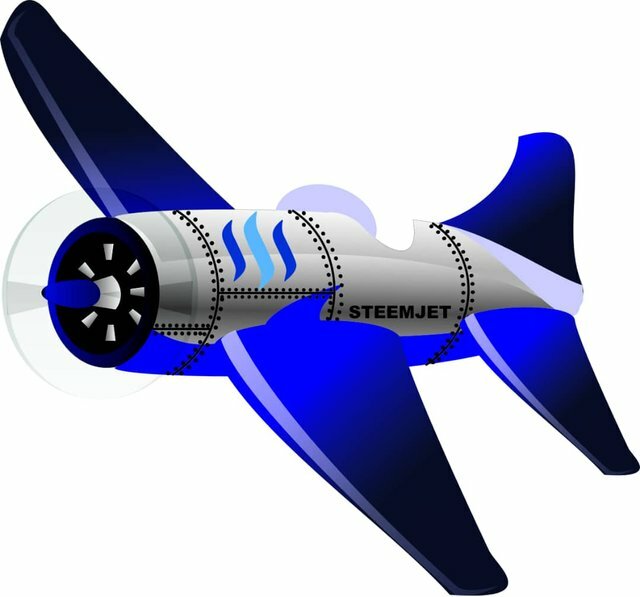 "Steemjet Space Force - Mission Accomplished"
Today, everybody wants to have a Space Force to "explore new horizions and tame new frontiers"
But building a team of unique genii is a little more difficult than sourcing a soccer team. You wouldn't just pay a few kids to show up, buy them some matching shirts and call them a soccer team any more than you would throw a wad of cash at some pilots and call them a Space Force. You actually need to discover players who love the game. Find talent that is obsessed with perfection. Seek the minds who perform a skill better than anyone else. This gives you the best chance of hitting your performance targets when you are up in the air. Sourcing talent was difficult prior to the invention of free and secure immutable data storage. You simply cannot purchase a more qualified Space Force anywhere else in the modern employment era because the smartest kids in the world want to get paid in crypto. And thanks to the invention of free and secure immutable data storage, future business is frictionless. Our goal of complete cosmic STEEM adoption requires that we budget our capital carefully. You can't just go blowing your budget on every proposal and hope to retain your talented Space Force under contract. Now that we have a qualified Space Force, our message is clearly articulated for the world to hear. @samuel9135 I must say you doing a great work. 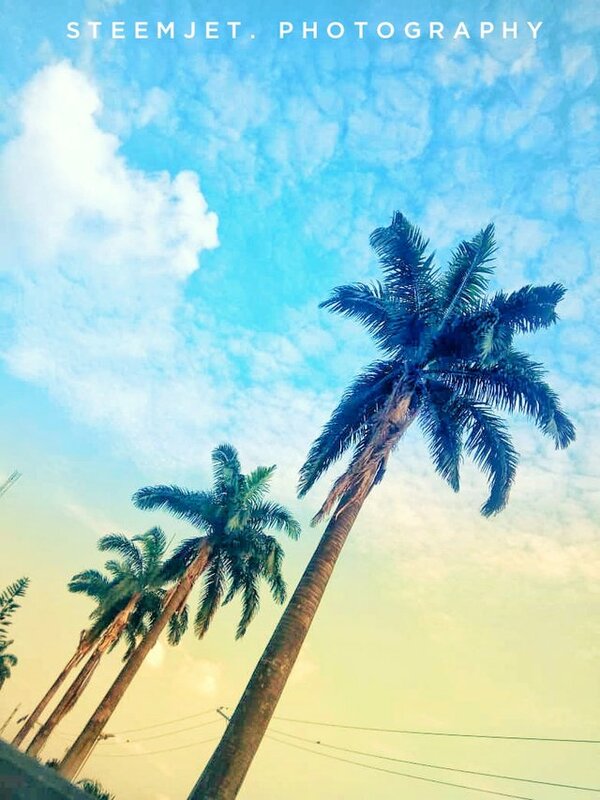 Am impress with it , keep it up. I would donate my 100% steem to the human race because serving humanity has been a thing i have passion for and also to be a reason for someone to smile just as you are doing. 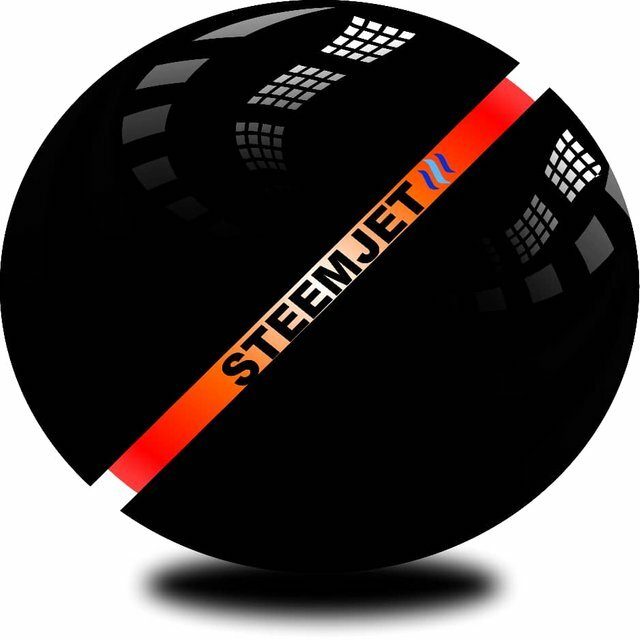 Then finally to see that the goal of steemjet is attianed at it full potential. 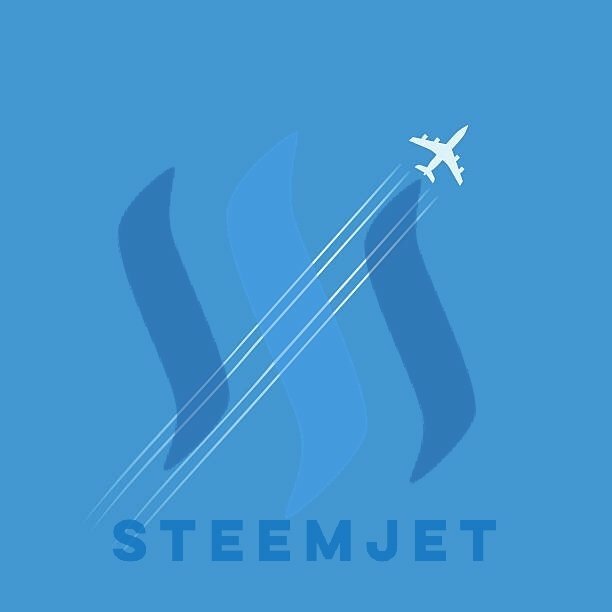 Steem is something that everyone should know about and feel what it can do. 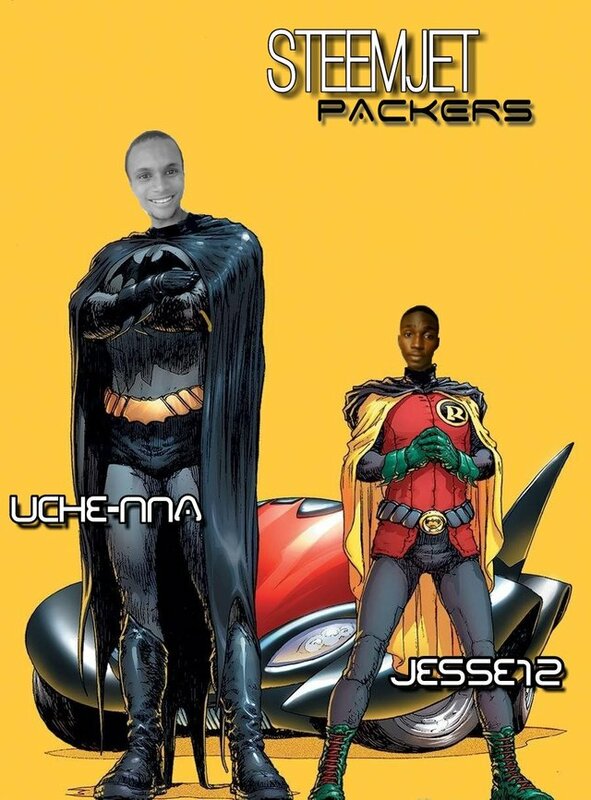 Here's a design for the CEO of steemjet; @uche-nna the jet pack holder and his sidekick @jesse12.. Welcome boss, hope you will be doing great. Accept a little love from my side. I will not say anything more. But it just took half of my day. because I've learnt the very act of selflessness in another dimension, from you @dimimp. Because as you've shone your light so far, unconsciously giving us permission to do same. 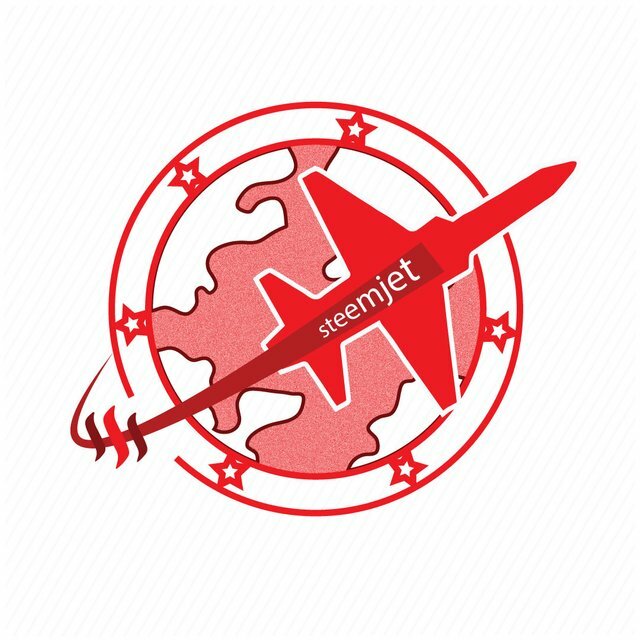 Because for some of us on this jet, we were people who never truly had a community we could call ours, untill you brought steemjet to us. 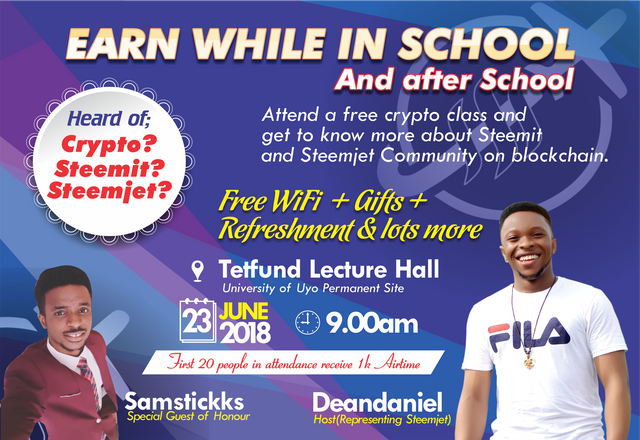 Because I believe that this is the age of abundance, and as such, no one should be left behind when it comes to the knowledge of steem and cryptos, to enable them leverage on the endless opportunities within it to attain financial freedom. I hope you like it music is all I've got but sometimes talent isn't enough to make you successful i need funding i also got involved in @steemcamp that was how i got to know about steemit because @michaelcj introduce steemit to me he's the founder of the @steemcamp project. 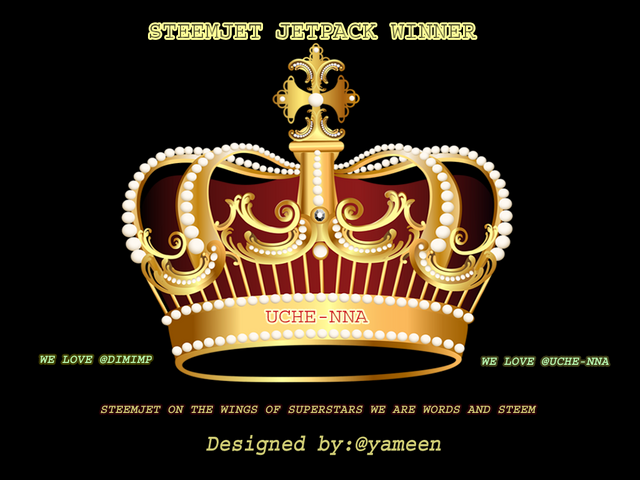 Also @uche-nna as also been a great motivation for me on steemit @dimimp thanks for giving your help to talented unemployed youth and i hope you help also reaches me. Hello dear @dimimp I'm here requesting you to get what i deserve. 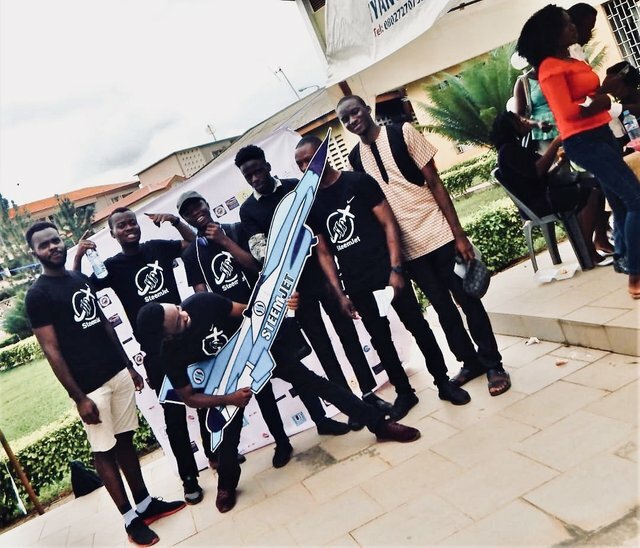 I was with you before steemjet projects and after i supported this project with all my heart and abilities but unfortunately you didn't see this effort. You promised me that you will reward me for my efforts but you didn't. 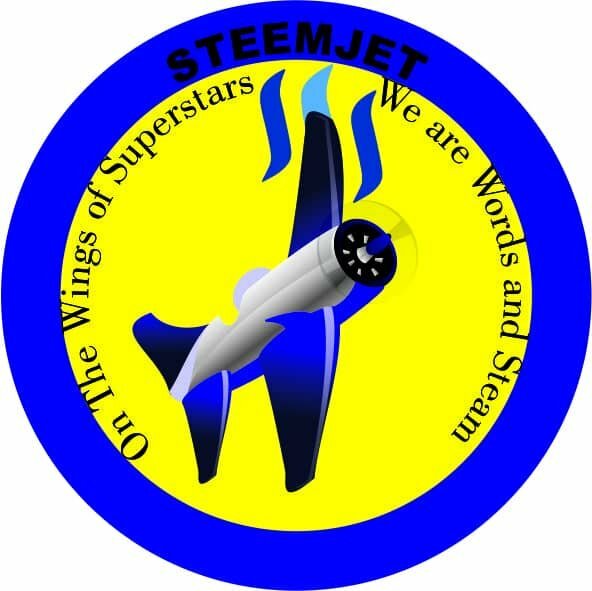 I'm a old member but you didn't give me a rule in a department or a delegations to support the newbies in steemjet community. 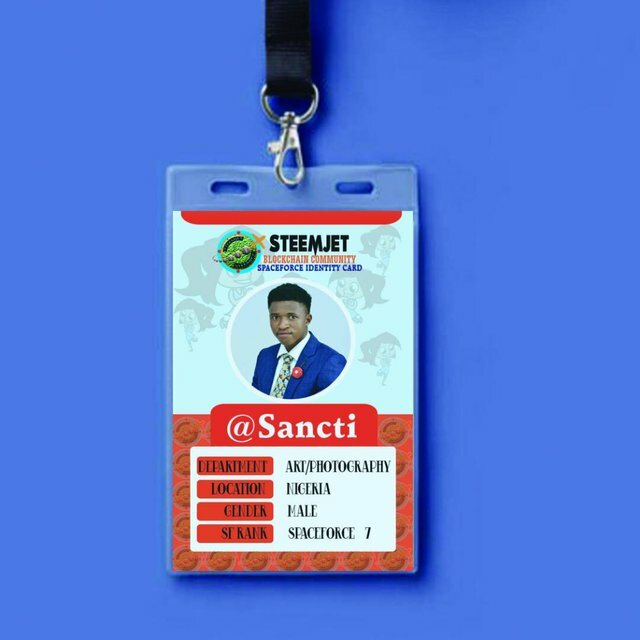 I still promoting steem blockchain through steemjet thoughts in the schools, the collages and the universities, even you didn't support me i still support this project because i see the future of steem blokchain in steemjet project. Finally hope you read my request and give me what i deserve. 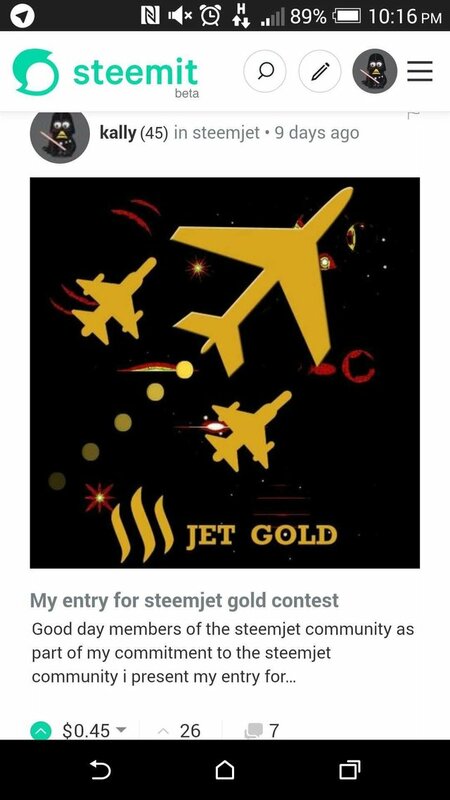 I need 2000 Liquid Steem to build the studio and start the promoting of steemjet trip. My art can send our messages easily and faster. This comment has received a 1.43 % upvote from @booster thanks to: @soufianechakrouf. Like you said "don't love me for my steem, love me for my words". We believe in your words. So just say the word. Done ! And we will be assured that it will be done @uche-nna the CEO and @jesse12 are fully in support of this and they support our dreams. @dimimp it has always been my dreams to attend a music school and also get professional certifications on song writer and acoustic music productions @etemi i am deeply humbled by this nomination and as the head of the music department i must say thank you for you for your unwaivered supports so far ,you are indeed a blessing and a diamond in the rough dear. @dimimp this will be a dream come true indeed and i cannot but thank you enough for your support of talent so far you the real mvp and the true artisan here. This might also be a reason why you gave all your steem to the SpaceForce members. Attaining Global Adoption with SteemJet Media!! Sir dimimp, this is my logo in the business card. 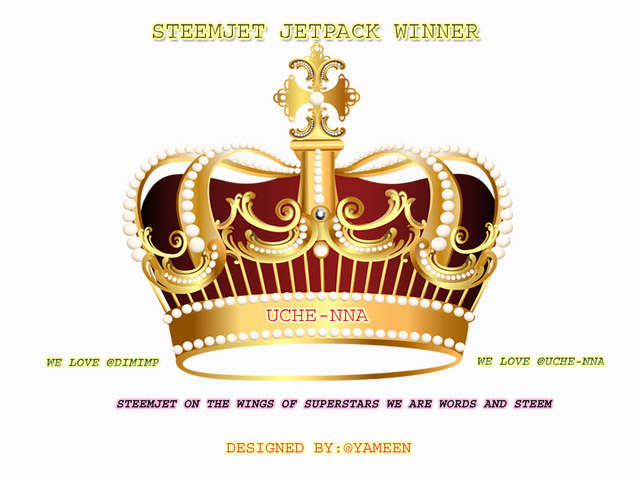 @samuel9135 is a superstar, his images have blown my mind, all thanks to you minning superstars with steem. 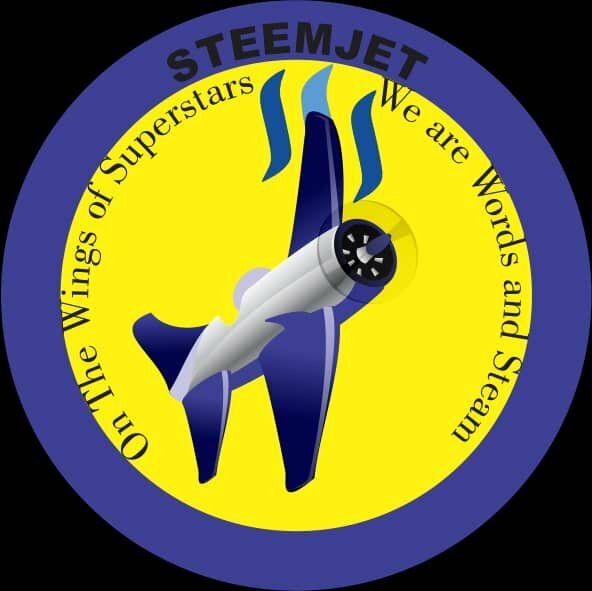 This is a new phase of steem you just made me realise, steem is a miner of superstars you just proved this with your genius mind. Thank you baba for helping us SF shine! That's right, it's better since it's open source. I've given the account access details to @lordjames as you said. But, before giving away all your money, I'll appreciate you include me in your plans too. The other music artists that received gears aren't staying close to me, so, it will be quite difficult going to their place to use their gears. Due to the present price value of steem, seems the price of these gears. Working as an SF member and working with you has helped me achieved a lot, I'll be grateful if you look into my needs boss @dimimp. Oops, I'll check your complains out and if it's so I'll send you the Steem from my own wallet. Must have been a mistake so I apologize for that. I'll look into this by morning. Sorry for the inconvenience. As fast as possible @dimimp. Nice work...this can be used for different purpose. 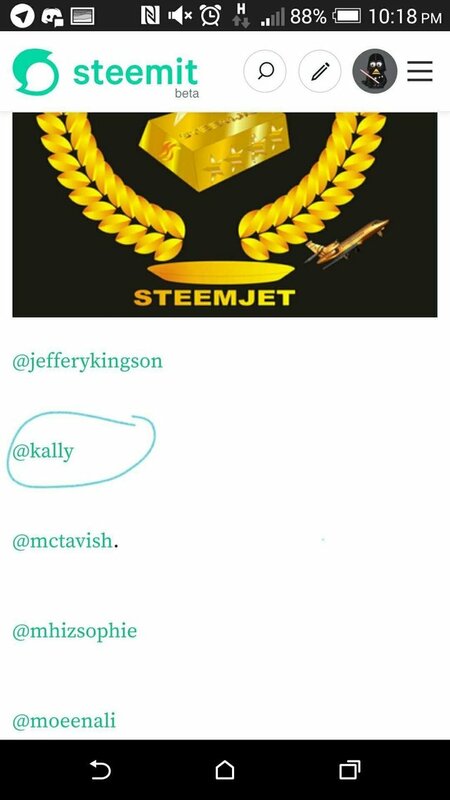 Total congratulations to @ samuel9135 for their work and talent, which pride share with human resources as valuable as the one you have in the @steemjet master @dimimp; It's wonderful how the SPACE FORCE movement has been growing and it feels so good to see it grow ... 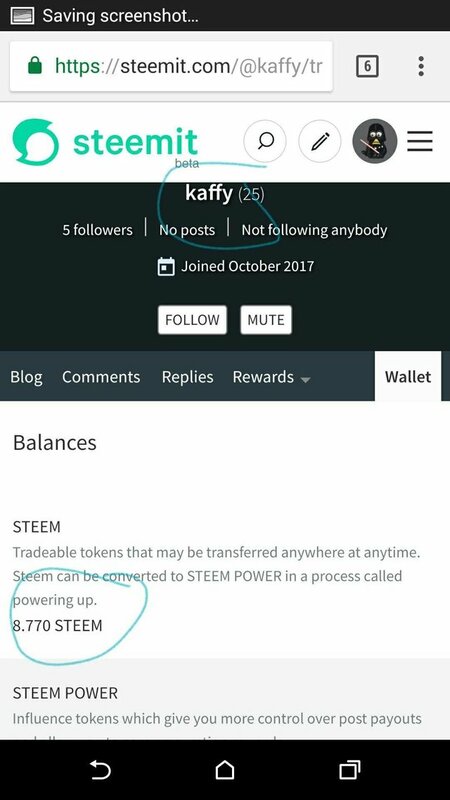 I always support those steemit users who give the community a bit more sand. 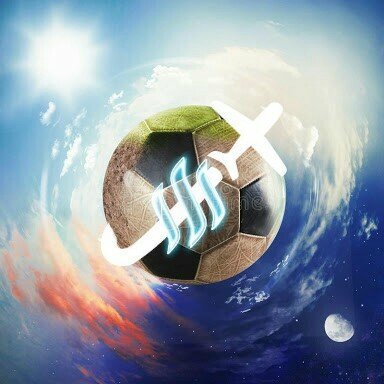 By the way @dimimp, talking about the World Cup, what are your predictions for the cup? 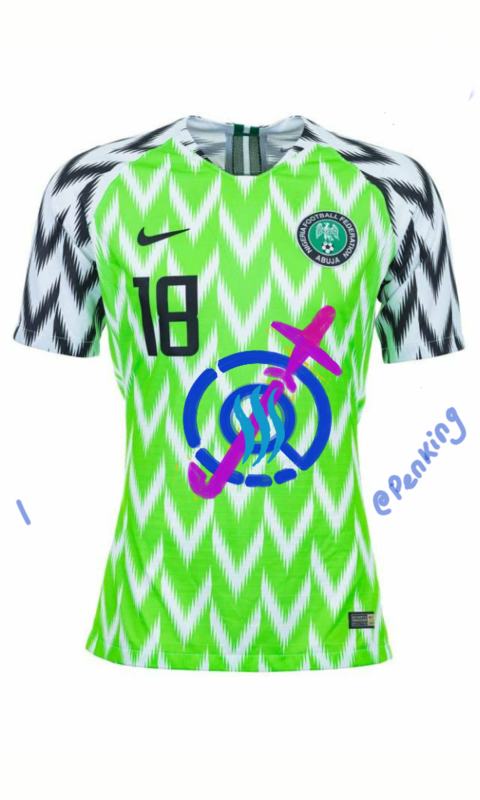 The new Nigerian jersey designed by Nike was recently announced by FIFA as the best kit for the Russia 2018 worldcup. 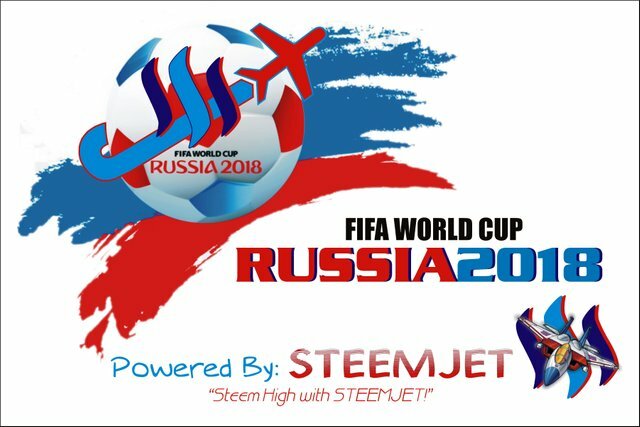 Hello @dimimp, how does our steemjet logo look on the best jersey in 2018. 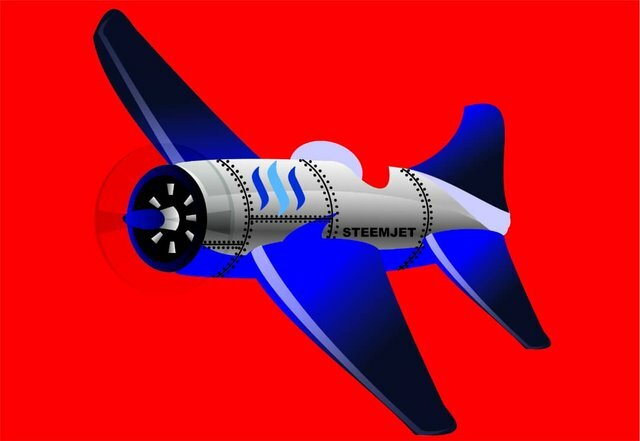 Doesn't it simply confirm that steemjet is the best? But I didn't leave out the conventional concepts of the logo -- just did some derivatives of same. Anyways, without much talk, I present, the New Steemjet Variance! Wow, congrats to you @samuel9135, kudos to the media team too. Wow winners are born to be genius, Weldone @samuel9135. Hello @dimimp, I wish to inform you that I have just released my first music production dedicated to the Steemjet Community. I apologise that this is coming very late, it was due to a lot of challenges I had to go through in order to put this all in place. It took me weeks to get the space after series of application to the owner of the facility, I was able to get it for few hours and I'm glad I was able to do something nice with it. 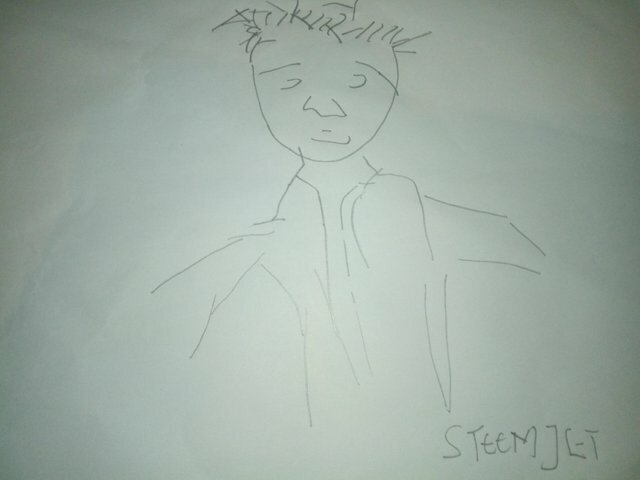 I would also love to appeal to you Sir for help, I have alot to offer to the Steemjet network through my Music but due to lack of funds and equipments, It is proving impossible to achieve anything. I will be glad if you love the music and could help me purchase some equipments. Thank You Sir. Prior to your comment on the ID cards made, in which you said you don't like the logo, on that note you open another contest for modification of the logo, and now am back with the new modification of the logo after working on it for weeks so as to make it perfect. I also put the logo on the ID cards to see how perfect it will be on the card, and now it looking perfect on it, I will be happy if you can check it out sir. 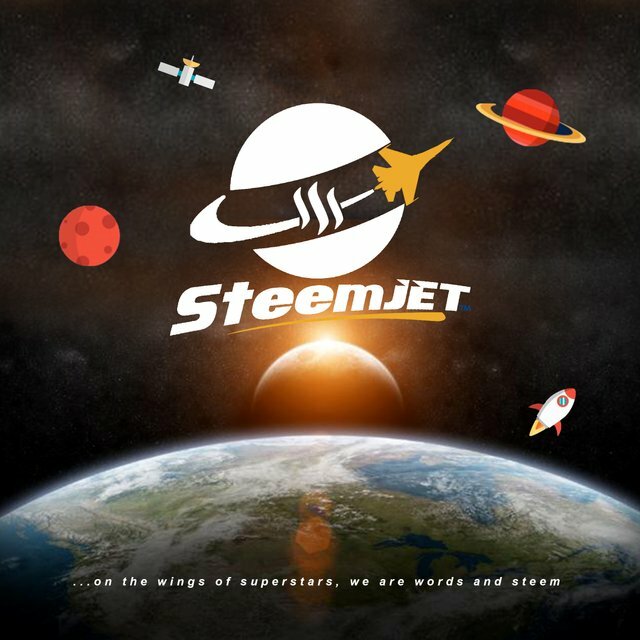 To donate all your steem to space force is because you really trust them and their projects, because the work they do you like and that's why you decided to give them that opportunity, which in my opinion is a great vote of confidence! Now it is up to thethethey to achieve these projects in order to meet your expectations and they achieve to overcome more and more. Hello there boss @dimimp You have created a very strong team that works tirelessly. You are an example for everyone. Great initiatives from the art department once again and great contests once again also. Boss I need your help. I also need your opinion and evaluation if the book is proceeding the way you want it to be and if you have any notifications and stuff that we need to change. I ll try again to work from the mobile but it seems it is highly unlikely to manage it. OK! 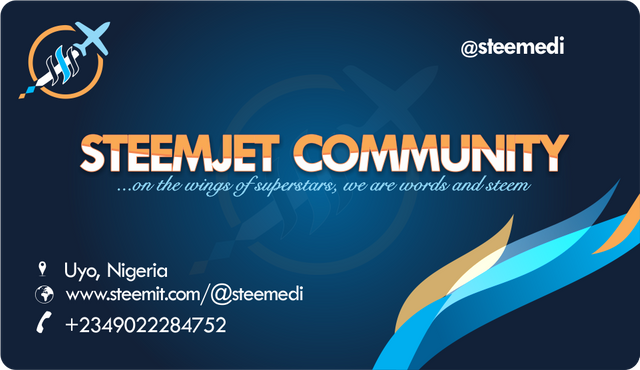 So I deviated a bit from the assignment Boss Imp gave me and @fidelmboro as I spotted his post on the campaign to hunt for BETTER Steemjet logos. I did some late entries in a hurry 'cause I missed the gist about the contest... 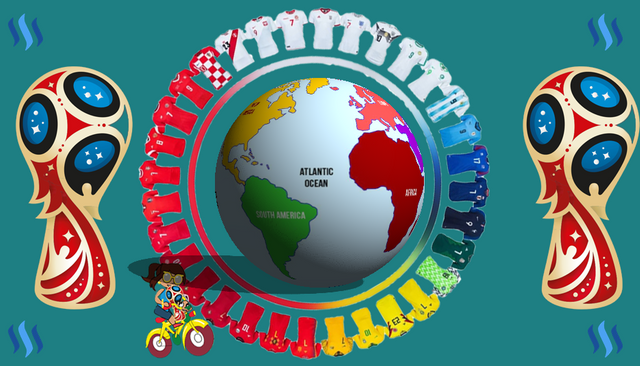 However, my Muse moved me to do some more designs about the current FIFA World Cup in Russia. 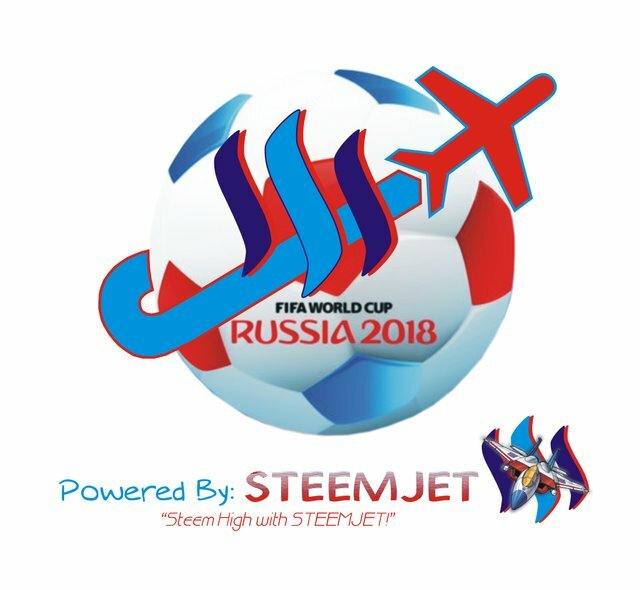 Anyways, the 1st design is a football version of the Steemjet logo, the 2nd is an extended variance of the same logo introducing the FIFA World Cup in Russia, while the 3rd is a glimpse into the future where Team Steemjet won the final match (against who? Well, I didn't get a glimpse of that part of the future, but who cares? 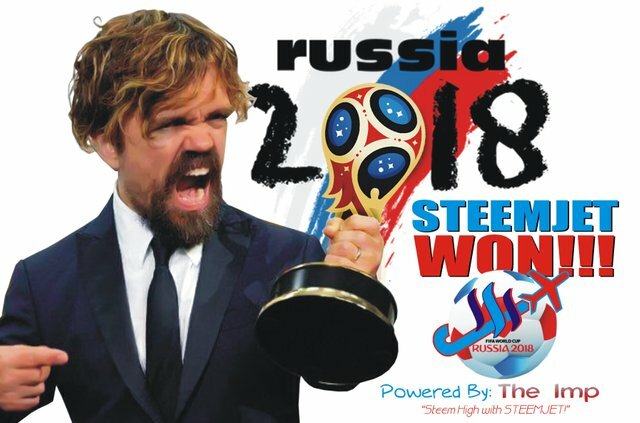 All that matters is that Steemjet won!) -- with Boss Imp holding the Golden World Cup! Congratulations @samuel9135, i guess everyone in the space force are contributing in various aspects that would help us achieve our ultimate goal. I do have a question, since everyone has been limited to posting just two comments, does it apply to my team? Because we use it as an avenue to know/welcome newbies, get to interact with them as well as issue warnings to spammers or those who post plagiarised contents, answering this question will help us do our jobs effectively. As we're kind of handling security and public relations at the same time. 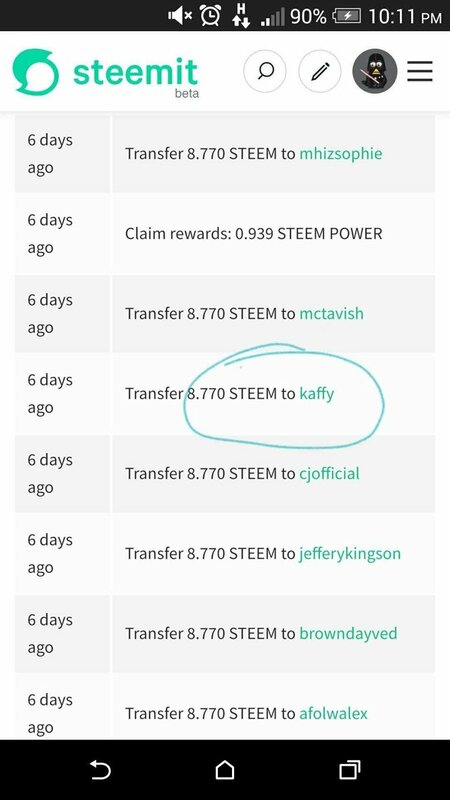 The SteemJet community is definitely having fun on the Steem blockchain. 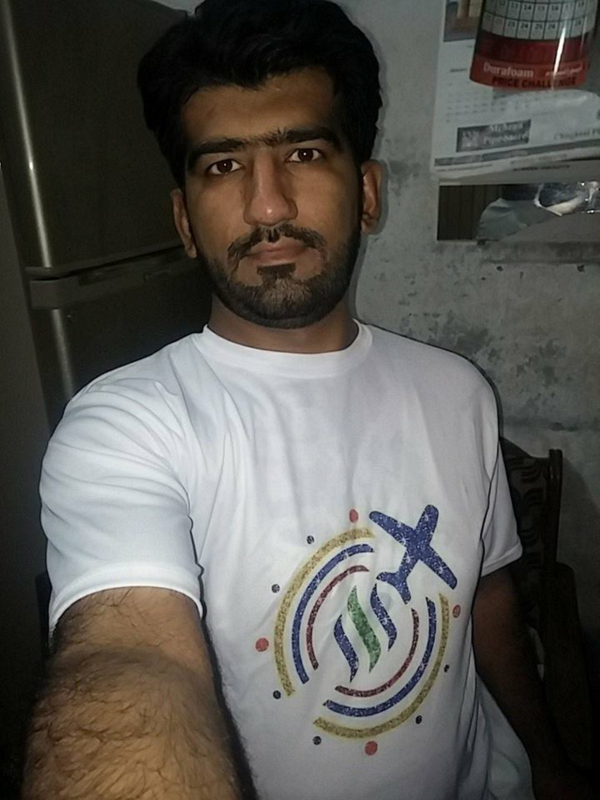 Loads of initiative are been carried out and i'm proud to be a part of it. This is of course due to the creation of the space forces. You are Great! This was an outstanding graphics design. Congratulations to @samuel9135 my namesake. Thank you Boss @dimimp for showing the world it is possible through selfless services. My strategies on reaching out to more individuals on social media and bringing them to steemjet. Check it out sir. 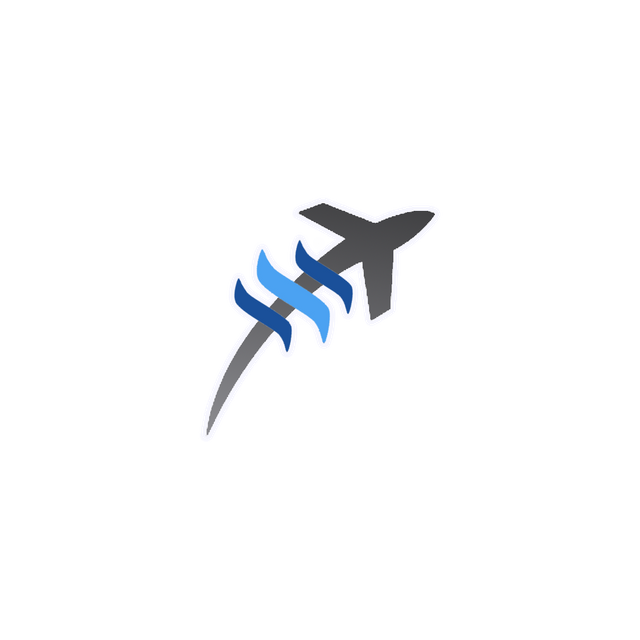 This is my entry to the SteemJet Minimal Logo contest which is hosted by the amazing @dimimp. 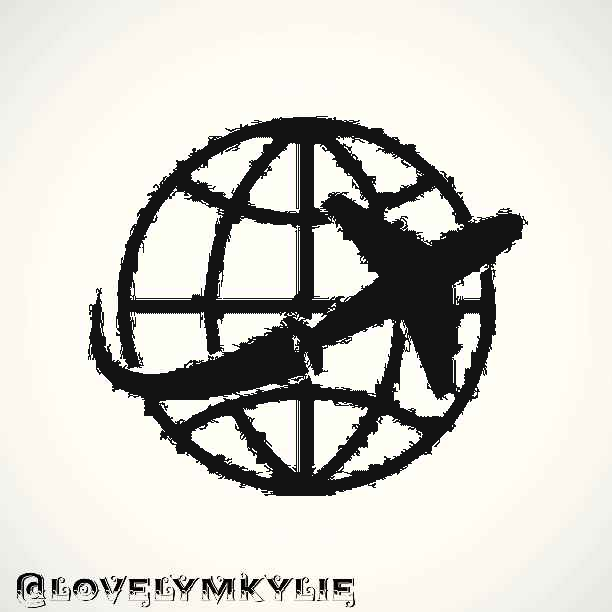 The key was minimalism, so I kept the logos simple. I provided 4 variations to suite whatever style. @dimimp thank you for always empowering us and appreciating our hardwork, your indeed a role model which everyone should always try to depict. 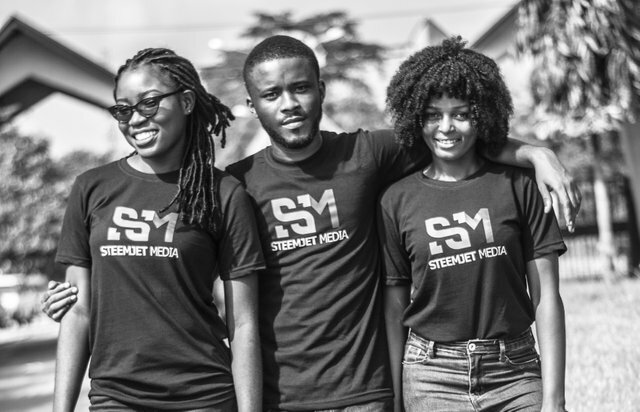 You have touched more lives than we had imagined throughout the birth of steemjet, more people have been financially free and we all know that a nation with active and financially free youths is definitely going to get higher grounds. 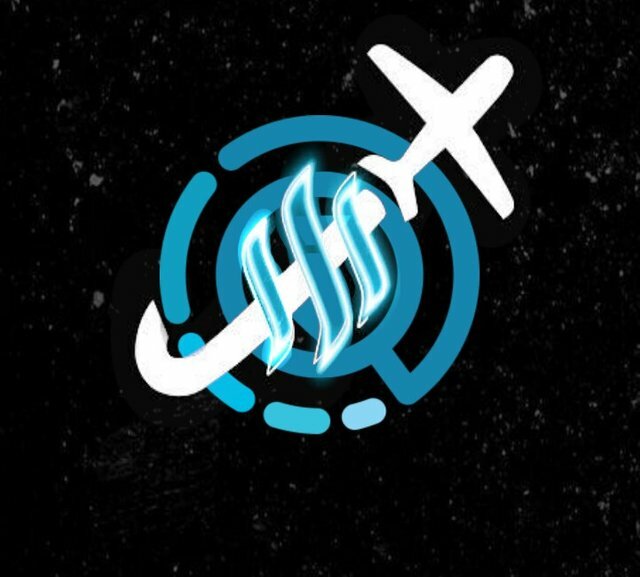 Did I just made the logo to beat? Who knows?...this logo is not all about the graphics designs but the content, it signifies the efforts of everyone in this community pushing hard to make it a better place for all...with the help of the boss @dimimp. A whale like no other! 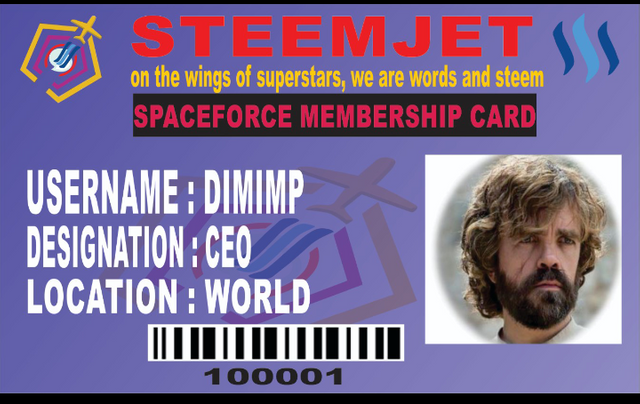 Boss @ dimimp One of the reasons why i think you donated all your steem to the space force is to create a great force and community that would help promote the steem and impact lives. 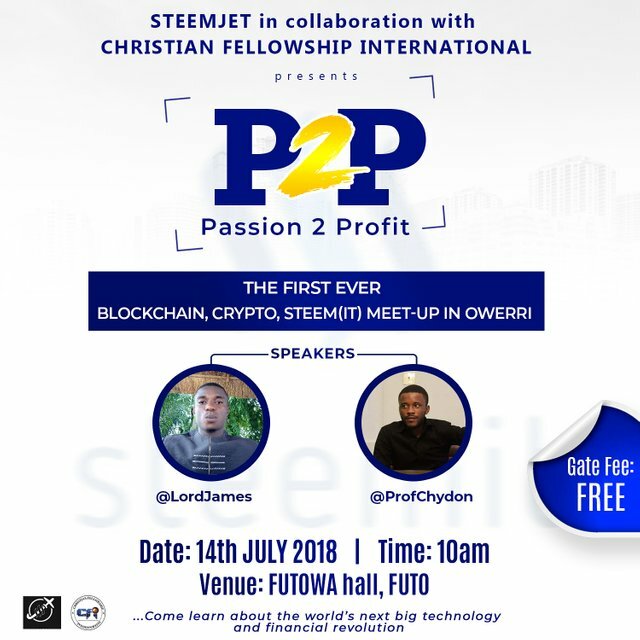 In that light a tiny fraction of steemjetians in the eastern part of nigeria(even though it seems we dont exist) have been trying so hard preach the gospel of steem to the people. 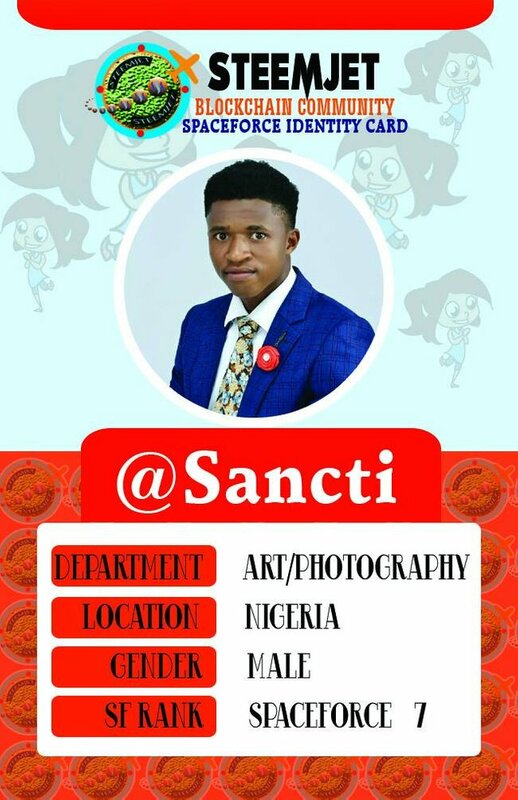 Congratutions to > samule. And thanks to the boss @dimimp..Sir i once made you a request that can help intergrate new steemias that follows this community. 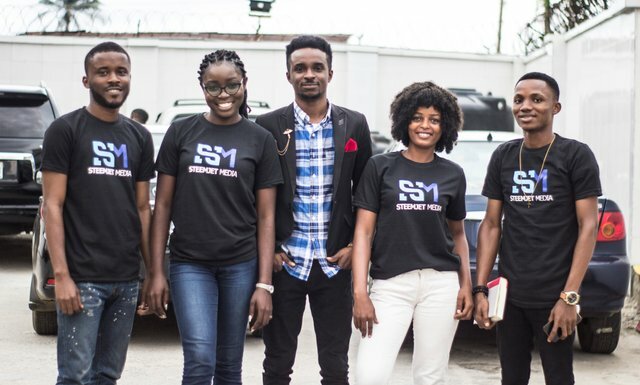 We are young to this platform and we have great potential too. We too can deliver. Please give us the chance, to prove ourself. @samuel9135 has many amazing works. Thanks for sharing would content sir. I like your every content. As an art department member, I have been observing the man @samuel9315 and his art works. What I like about him is his swiftness in executing task. He just hits the nail at the head everytime. He is a capable fellow and I believe he won't let us down.. Humanity is staying everyone person, i love steemit. and i appreciate this contest for sharing.. upvote and resteemit done. 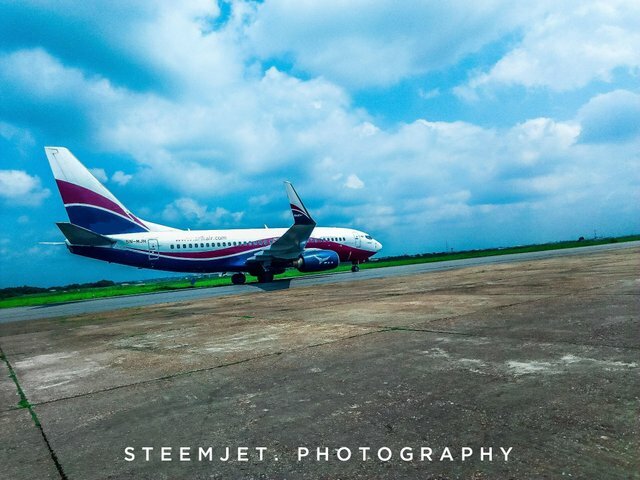 Hello @dimimp, I'm really delighted to report to you of the great progress Steemjet Photography has been making and all these has been as a result of your candid support. 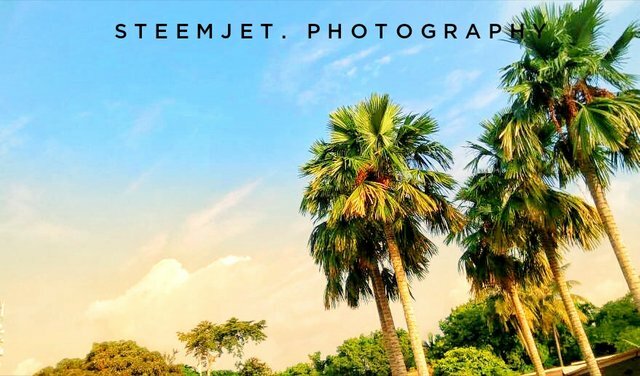 I have just kicked off a contest on my blog to adopt a Logo for Steemjet Photography Department. 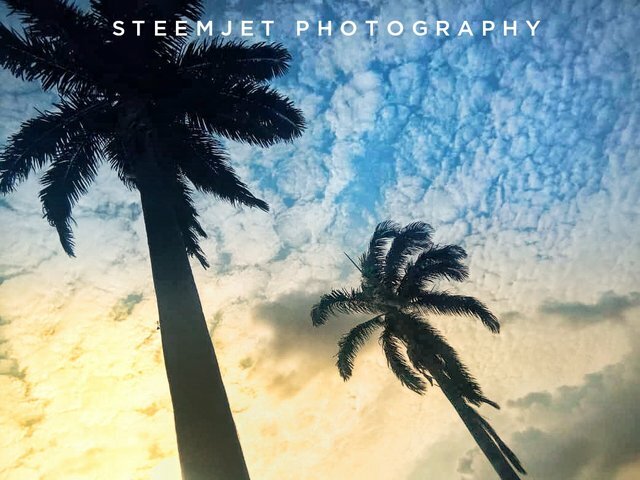 This contest is aimed at expanding the scope of the Steemjet Photography Initiative and by doing that also we'll have the opportunity to empower and encourage fellow steemians and publicize Steemjet to the world through photography. This will help give a big boost to the GLOBAL ADOPTION aim. The Steemjet Photography Exhibit has not relented in any way. 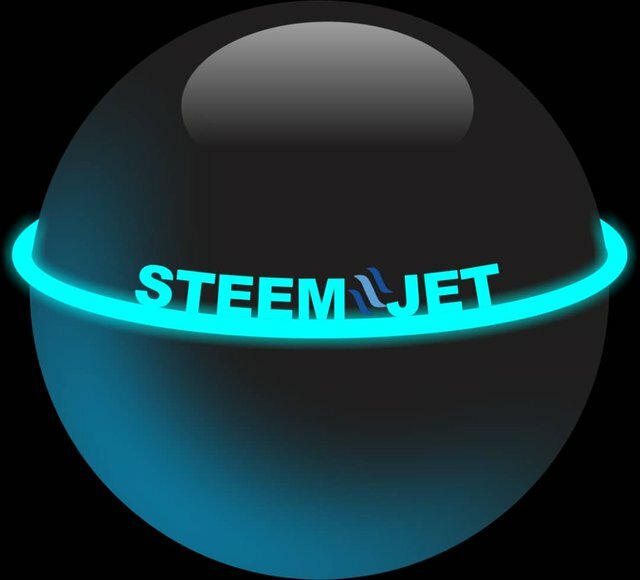 I still have a duty to display weekly exhibits dedicated to the Steemjet Community on my blog some of which I will display below because it is obvious you are a busy man and might not have the time to visit my blog to view them. 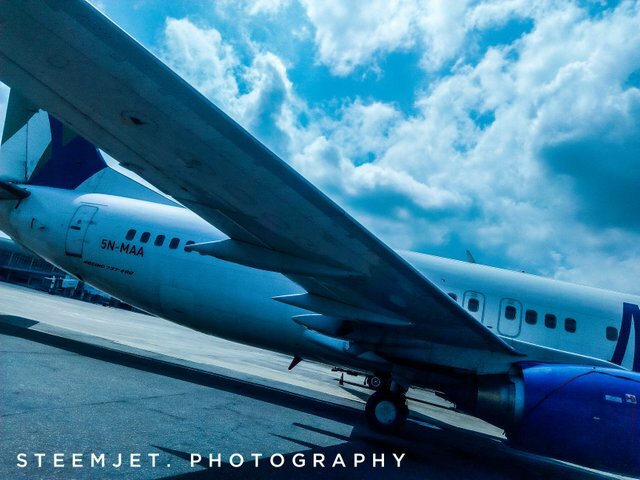 Sir, I also want to appeal that more of your support will be needed to help me get more photography equipments which will help increase the efficiency and quality of my works. Thanks a lot my friend for sharing this post. The cost of the trophy is increasing every time. During the 2018 World Cup, the price of the trophy is about 10 times the starting point. The dream of any footballer in the world once touched him with a hand. The scope does not have all the opportunity. Those who can, they feel happy for their people. 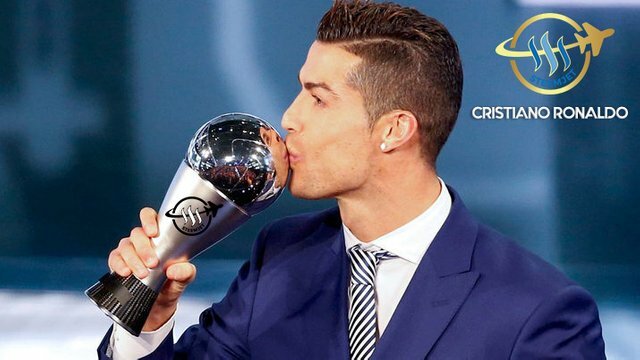 That's why Football is the world's most respected, Tamam is the most prized prize of the sport, as it seems to be the FIFA World Cup trophy. Very expensive, but what is the price? The value of such 'priceless' material can not be calculated in the figure of the money. Artist Silvio Gazaniga made the trophy for the 1974 World Cup. Before that the prize was the Jule Rim Cup of the World Cup. Brazil won it forever in the 1970s. This new trophy was created soon after. That's going on even today. The trophy weighs more than 6 kilograms. It is 14 inches long. And the element? 18 carat gold! Green malachite ring below. 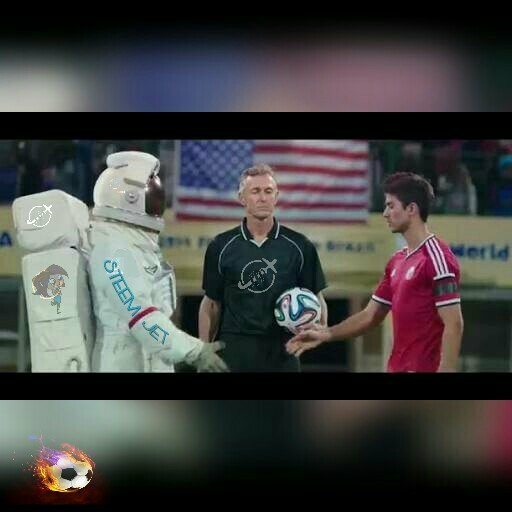 It is not saying that the financial value of such things will be skyball. When it was made in 1971, that amount of gold was worth less than 11 lakhs. But since then, the price of the trophy has increased with the rise of gold prices every time before the World Cup. During the current 2018 World Cup, the cost of the trophy is approximately 1.8 million taka. That is, the trophy that will be held in the hands of this year's champions is such a precious thing. @dimimp gracias por siempre empoderarnos y apreciar nuestro trabajo duro, de hecho, un modelo a seguir que todos deberían tratar de representar. 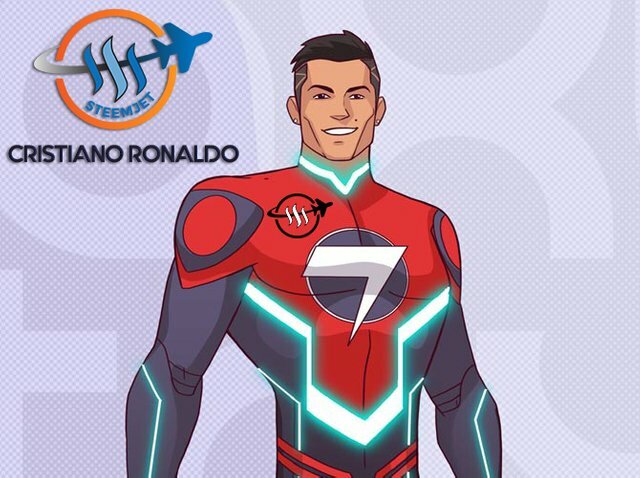 Has tocado más vidas de las que habíamos imaginado durante el nacimiento de Steemjet, más personas han sido financieramente libres y todos sabemos que una nación con jóvenes activos y financieramente libres definitivamente va a obtener terrenos más elevados. 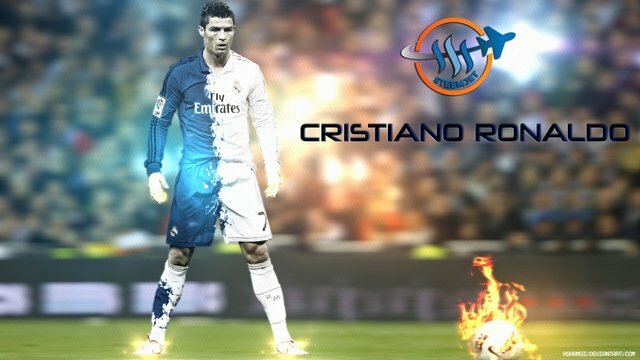 Sir @dimimp check my design I use shartzy's and jogreh's concept and try a different design. 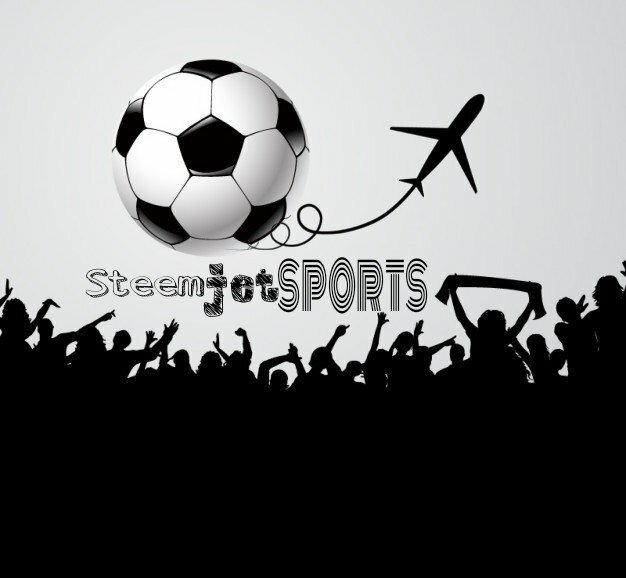 if i win this contest I'll spend my steam on Steam Jet Bangladesh Community. 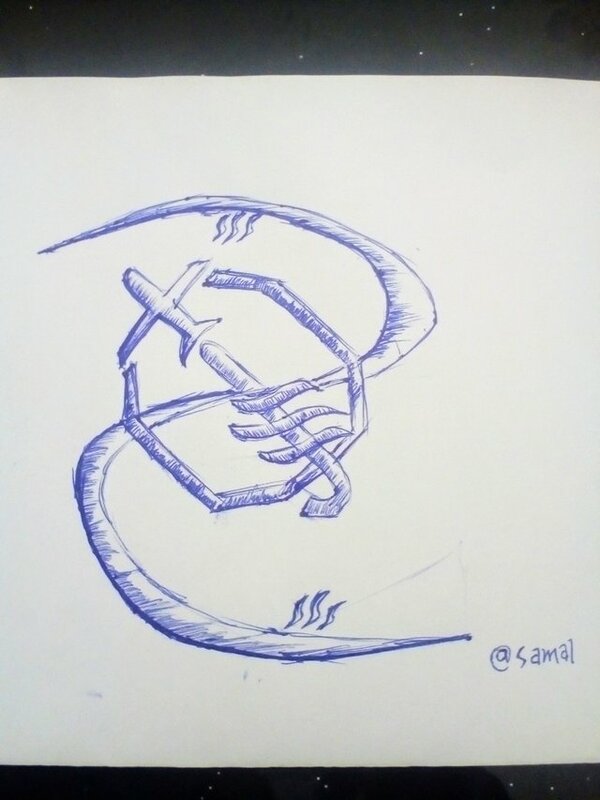 Tried my hands so in the design logo contest. Hope you love it. 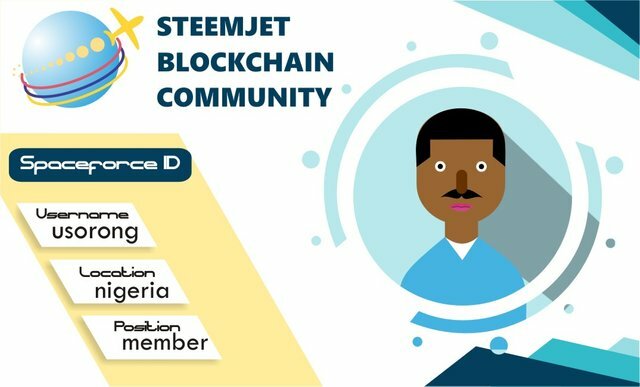 Thank you so much sir, I really appreciate all that you have done for us all and the community STEEMJET and I do not know when to join this community @dimimip and thank you for promotions. 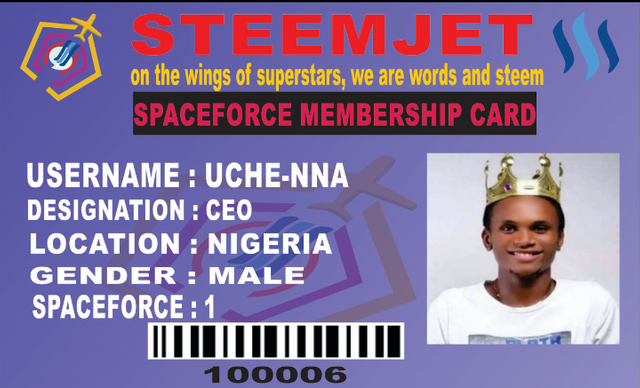 Why delegate 100% of your steem to the space force delegates? Because we are talented and that is for the main reason I will pitch this proposal to you. A while ago I designed a 2d drawing for you and though it was shady but I'm getting the hang of it. I needed to come from another angle and class and I'm very sure I will bring to you a different special taste of success. I have come up with the initiative - Steemjet Tv. 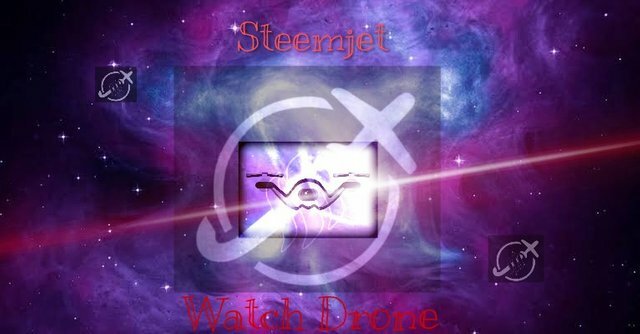 steemjet tv is the next big thing because this will eventually kick in as the prime primitive and front row of our success. Let me do the honours of pitching this idea to you. 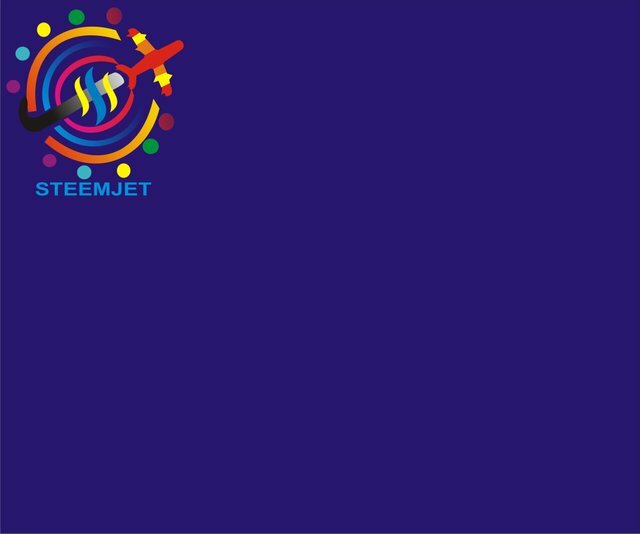 Steemjet tv is going to consist of presenters in which I have a set of team at my disposal to carry out this initiative, we will create a platform which is gonna be Jet-TV, a new site that will make use of IPFS just like youtube but instead, we will host presenters on steemjet to talk about steem. 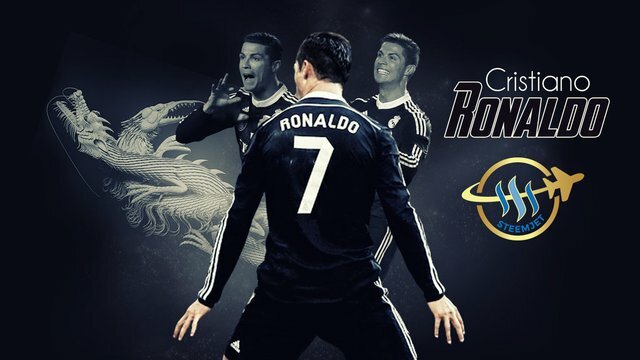 And since we're in the greatest sport festival of the year, this is the greatest opportunity we have to showcase our talents on live TV... We can best the greatest player -Ronaldo and become the next big thing. Here's a few things that I will use in making this happen. 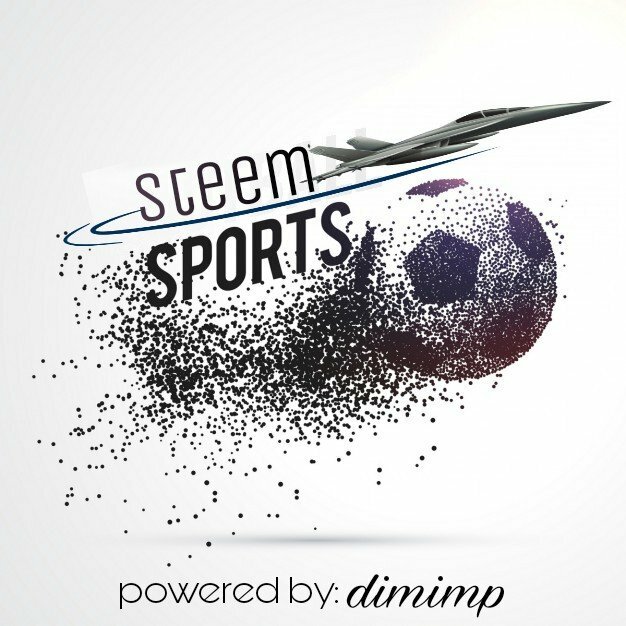 A token of support to host presenters - 300 steem. 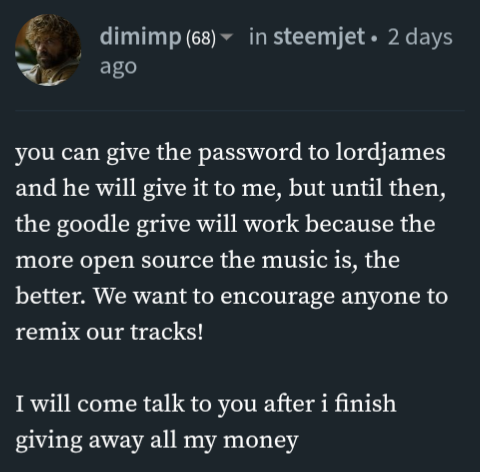 This is my task to the steemjet community and i will execute this to my very best. you have done so many tremendous things @dimimp. you selfless without been doubtful. with the your initiatives you making the world a better place . God will always be your strength. we love you @dimimp. ........my role model. I was just playing around with my fingers, say I was freestyling.. and I came up with that thing up there. .. searching out hidden superstars! Sir @dimimp, please sir consider this design . i know you are a kind and generous leader sir. I am good at graphics design. 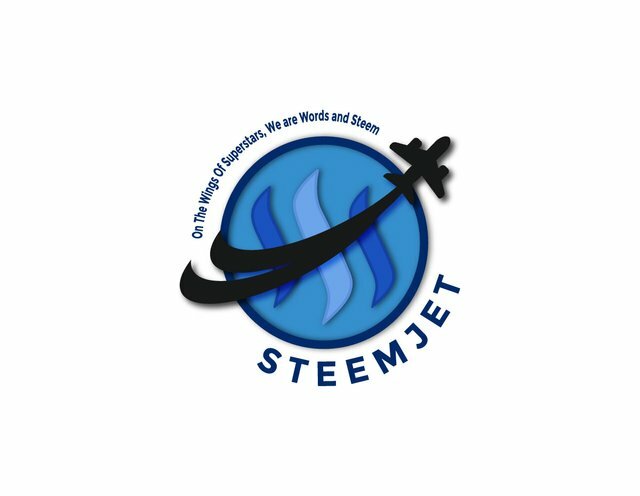 I need a job in this steemjet community sir. 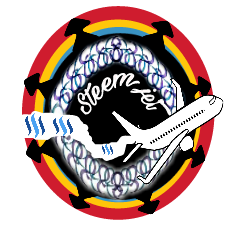 My entry for the new steemjet logo. 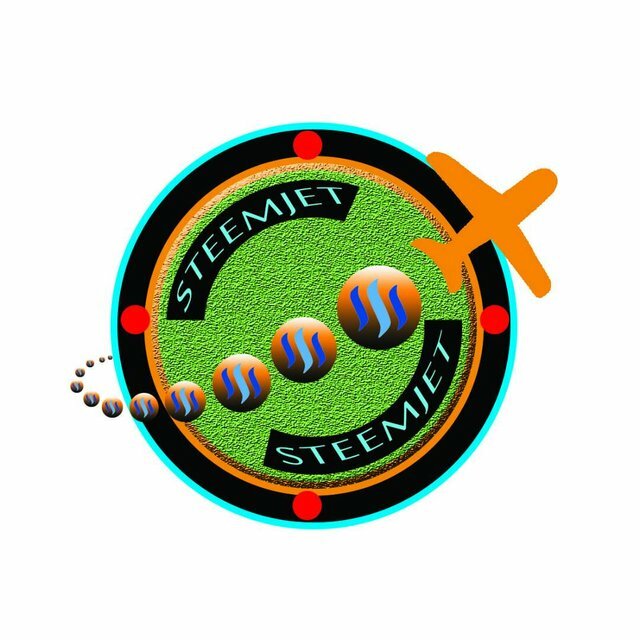 Motivated by the name, steemjet space force, I have come out with a logo that best befit it. here is the logo. 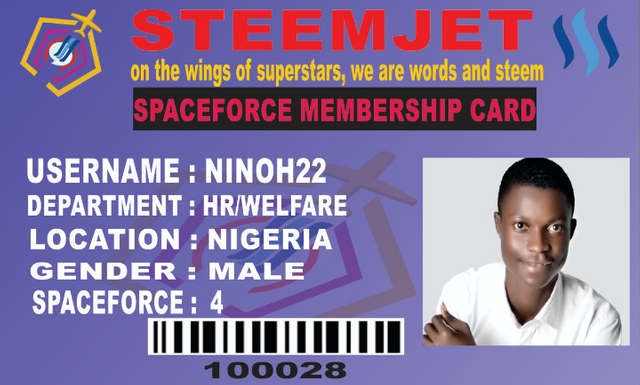 On the wings of superstars, we are words and steem. One love family. @dimimp sir I loved your project so much. from couple of days I see your post it's so amazing. so today I have done upvote and resteem your post.